Glucose-6-phosphate dehydrogenase deficiency and malaria: cytochemical detection of heterozygous G6PD deficiency in women. J Histochem Cytochem. 2009 Nov;57(11):1003-11. doi: 10.1369/jhc.2009.953828. Epub 2009 Jun 22. Review. PMID: 19546473 Free PMC Article Similar articles Select item 16139339 2. Biochemical and cytochemical evaluation of heterozygote individuals with glucose-6-phosphate dehydrogenase deficiency. Gurbuz N, Aksu TA, Van Noorden CJ. Acta Histochem. 2005;107(4):261-7. Epub 2005 Sep 1. PMID: 16139339 Similar articles Select item 23965028 3. Evaluation of the phenotypic test and genetic analysis in the detection of glucose-6-phosphate dehydrogenase deficiency. Nantakomol D, Paul R, Palasuwan A, Day NP, White NJ, Imwong M.
Malar J. 2013 Aug 21;12:289. doi: 10.1186/1475-2875-12-289. PMID: 23965028 Free PMC Article Similar articles Select item 23961874 4. Cryopreservation of glucose-6-phosphate dehydrogenase activity inside red blood cells: developing a specimen repository in support of development and evaluation of glucose-6-phosphate dehydrogenase deficiency tests. Kahn M, LaRue N, Bansil P, Kalnoky M, McGray S, Domingo GJ. Malar J. 2013 Aug 20;12:286. doi: 10.1186/1475-2875-12-286. PMID: 23961874 Free PMC Article Similar articles Select item 2472236 5. Comparison between the chromate inhibition test and a cytochemical method for the determination of glucose-6-phosphate dehydrogenase deficiency in erythrocytes. Jonges GN, Hagen H, Van Noorden CJ, Weening RS, Roos D.
Clin Chim Acta. 1989 May 15;181(2):135-41. PMID: 2472236 Similar articles Select item 21501392 6. Modification to reporting of qualitative fluorescent spot test results improves detection of glucose-6-phosphate dehydrogenase (G6PD)-deficient heterozygote female newborns. Nadarajan V, Shanmugam H, Sthaneshwar P, Jayaranee S, Sultan KS, Ang C, Arumugam S.
Int J Lab Hematol. 2011 Oct;33(5):463-70. doi: 10.1111/j.1751-553X.2011.01309.x. Epub 2011 Apr 19. PMID: 21501392 Similar articles Select item 19789650 7. Impact of the method of G6PD deficiency assessment o­n genetic association studies of malaria susceptibility. Johnson MK, Clark TD, Njama-Meya D, Rosenthal PJ, Parikh S.
PLoS o­ne. 2009 Sep 30;4(9):e7246. doi: 10.1371/journal.pone.0007246. 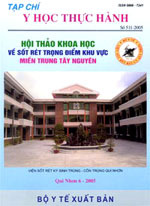 PMID: 19789650 Free PMC ArticleSimilar articles Select item 25071003 8. Comparison of quantitative and qualitative tests for glucose-6-phosphate dehydrogenase deficiency. LaRue N, Kahn M, Murray M, Leader BT, Bansil P, McGray S, Kalnoky M, Zhang H, Huang H, Jiang H, Domingo GJ. Am J Trop Med Hyg. 2014 Oct;91(4):854-61. doi: 10.4269/ajtmh.14-0194. Epub 2014 Jul 28. PMID: 25071003 Free PMC Article Similar articles Select item 17355169 9. X-linked G6PD deficiency protects hemizygous males but not heterozygous females against severe malaria. Guindo A, Fairhurst RM, Doumbo OK, Wellems TE, Diallo DA. PMID: 17355169 Free PMC Article Similar articles Select item 21849081 10. Frequency of glucose-6-phosphate dehydrogenase deficiency in malaria patients from six African countries enrolled in two randomized anti-malarial clinical trials. Carter N, Pamba A, Duparc S, Waitumbi JN. Malar J. 2011 Aug 17;10:241. doi: 10.1186/1475-2875-10-241. PMID: 21849081 Free PMC Article Similar articles Select item 3552078 11. Glucose-6-phosphate dehydrogenase of malaria parasite Plasmodium falciparum. Yoshida A, Roth EF Jr.
PMID: 3552078 Free Article Similar articles Select item 26686045 12. Glucose-6-phosphate dehydrogenase deficiency and the risk of malaria and other diseases in children in Kenya: a case-control and a cohort study. Uyoga S, Ndila CM, Macharia AW, Nyutu G, Shah S, Peshu N, Clarke GM, Kwiatkowski DP, Rockett KA, Williams TN; MalariaGEN Consortium. Lancet Haematol. 2015 Oct;2(10):e437-44. doi: 10.1016/S2352-3026(15)00152-0. Epub 2015 Sep 22. PMID: 26686045 Free PMC ArticleSimilar articles Select item 2768805 13. Flow cytofluorometric analysis of enzyme reactions based o­n quenching of fluorescence by the final reaction product: detection of glucose-6-phosphate dehydrogenase deficiency in human erythrocytes. Van Noorden CJ, Dolbeare F, Aten J.
J Histochem Cytochem. 1989 Sep;37(9):1313-8. PMID: 2768805 Similar articles Select item 28902532 14. PMID: 28902532 Similar articles Select item 6821654 15. Neonatal hyperbilirubinaemia in heterozygous glucose-6-phosphate dehydrogenase deficient females. Meloni T, Forteleoni G, Dore A, Cutillo S.
Br J Haematol. 1983 Feb;53(2):241-6. PMID: 6821654 Similar articles Select item 3677412 16. Detection of glucose-6-phosphate dehydrogenase deficiency in erythrocytes: a spectrophotometric assay and a fluorescent spot test compared with a cytochemical method. Wolf BH, Weening RS, Schutgens RB, van Noorden CJ, Vogels IM, Nagelkerke NJ. Clin Chim Acta. 1987 Sep 30;168(2):129-36. PMID: 3677412 Similar articles Select item 27329471 17. Glucose-6-phosphate dehydrogenase deficiency among Yemeni children residing in malaria-endemic areas of Hodeidah governorate and evaluation of a rapid diagnostic test for its detection. Abdul-Ghani R, Mahdy MA, Saif-Ali R, Alkubati SA, Alqubaty AR, Al-Mikhlafy AA, Al-Eryani SM, Al-Mekhlafi AM, Alhaj A.
Malar J. 2016 Jun 21;15:327. doi: 10.1186/s12936-016-1372-9. PMID: 27329471 Free PMC Article Similar articles Select item 2408654 18. A sensitive cytochemical staining method for glucose-6-phosphate dehydrogenase activity in individual erythrocytes. II. Further improvements of the staining procedure and some observations with glucose-6-phosphate dehydrogenase deficiency. Van Noorden CJ, Vogels IM. Br J Haematol. 1985 May;60(1):57-63. PMID: 2408654 Similar articles Select item 23680071 19. Determination of optimal cutoff value to accurately identify glucose-6-phosphate dehydrogenase-deficient heterozygous female neonates. Miao JK, Chen QX, Bao LM, Huang Y, Zhang J, Wan KX, Yi J, Wang SY, Zou L, Li TY. Clin Chim Acta. 2013 Sep 23;424:131-5. doi: 10.1016/j.cca.2013.05.004. Epub 2013 May 13. PMID:23680071 Similar articles Select item 9746794 20. 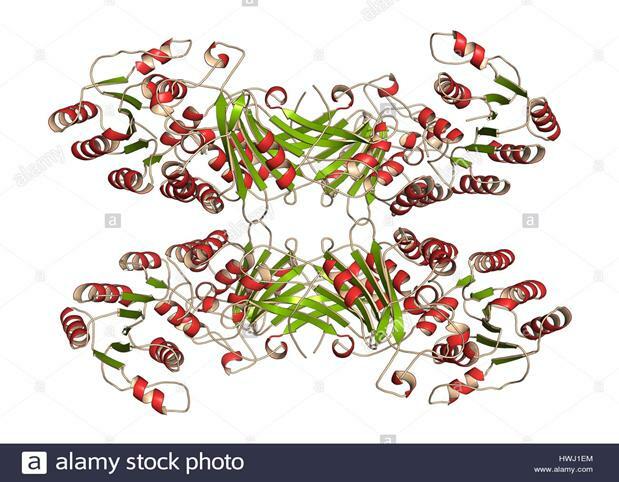 Cappadoro M, Giribaldi G, O'Brien E, Turrini F, Mannu F, Ulliers D, Simula G, Luzzatto L, Arese P.
Hemolytic Potential of Tafenoquine in Female Volunteers Heterozygous for Glucose-6-Phosphate Dehydrogenase (G6PD) Deficiency (G6PD Mahidol Variant) versus G6PD-Normal Volunteers. Rueangweerayut R, Bancone G, Harrell EJ, Beelen AP, Kongpatanakul S, Möhrle JJ, Rousell V, Mohamed K, Qureshi A, Narayan S, Yubon N, Miller A, Nosten FH, Luzzatto L, Duparc S, Kleim JP, Green JA. Am J Trop Med Hyg. 2017 Sep;97(3):702-711. doi: 10.4269/ajtmh.16-0779. Epub 2017 Jul 27. PMID: 28749773 Free PMC Article Similar articles Select item 10747271 22. Red cell glucose-6-phosphate dehydrogenase status and pyruvate kinase activity in a Nigerian population. May J, Meyer CG, Grossterlinden L, Ademowo OG, Mockenhaupt FP, Olumese PE, Falusi AG, Luzzatto L, Bienzle U.
Trop Med Int Health. 2000 Feb;5(2):119-23. PMID: 10747271 Free Article Similar articles Select item 3942828 23. Excess release of ferriheme in G6PD-deficient erythrocytes: possible cause of hemolysis and resistance to malaria. Janney SK, Joist JJ, Fitch CD. PMID: 3942828 Free Article Similar articles Select item 20350285 24. Discussion o­n pharmacogenetic interaction in G6PD deficiency and methods to identify potential hemolytic drugs. Manganelli G, Fico A, Martini G, Filosa S.
Cardiovasc Hematol Disord Drug Targets. 2010 Jun;10(2):143-50. Review. PMID: 20350285 Similar articles Select item 8761320 25. Enhanced vesiculation exacerbates complement-dependent hemolysis in glucose-6-phosphate dehydrogenase deficient red blood cells. Tsai KJ, Shih LY, Hung IJ, Huang SW, Wei JS, Liu TZ, Chiu DT. PMID: 8761320 Similar articles Select item 16337618 26. Reliability of quantitative and qualitative tests to identify heterozygotes carrying severe or mild G6PD deficiency. Tagarelli A, Piro A, Bastone L, Condino F, Tagarelli G.
Clin Biochem. 2006 Feb;39(2):183-6. Epub 2005 Dec 7. PMID: 16337618 Similar articles Select item 1523481 27. Erythrocyte glucose-6-phosphate dehydrogenase and pyruvate kinase activities in hemoglobin H disease. Kuptamethi S, Tantiniti P, Wanachiwanawin W, Fucharoen S, Thareeruchata S, Choopanya K.
Southeast Asian J Trop Med Public Health. 1992 Mar;23(1):64-70. PMID: 1523481 Similar articles Select item 5646303 28. A tetrazolium-linked cytochemical method for estimation of glucose-6-phosphate dehydrogenase activity in individual erythrocytes: applications in the study of heterozygotes for glucose-6-phosphate dehydrogenase deficiency. Blood. 1968 May;31(5):589-603. No abstract available. PMID: 5646303 Free Article Similar articles Select item 2687776 29. Susceptibility to hydrogen peroxide of Plasmodium falciparum infecting glucose-6-phosphate dehydrogenase-deficient erythrocytes. 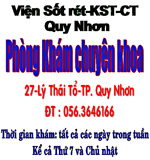 Kamchonwongpaisan S, Bunyaratvej A, Wanachiwanawin W, Yuthavong Y.
Parasitology. 1989 Oct;99 Pt 2:171-4. PMID: 2687776 Similar articles Select item 26251139 30. [Glucose-6-phosphate dehydrogenase deficiency in Japan]. Rinsho Ketsueki. 2015 Jul;56(7):771-7. doi: 10.11406/rinketsu.56.771. Japanese. PMID: 26251139 Similar articles Select item 25771467 31. Prevalence of glucose-6-phosphate dehydrogenase (G6PD) deficiency in southeast Iran: implications for malaria elimination. Tabatabaei SM, Salimi Khorashad A, Sakeni M, Raeisi A, Metanat Z.
J Infect Dev Ctries. 2015 Mar 15;9(3):289-97. doi: 10.3855/jidc.5572. PMID: 25771467 Free Article Similar articles Select item 24615128 32. G6PD A- deficiency and severe malaria in The Gambia: heterozygote advantage and possible homozygote disadvantage. Sirugo G, Predazzi IM, Bartlett J, Tacconelli A, Walther M, Williams SM. Am J Trop Med Hyg. 2014 May;90(5):856-9. doi: 10.4269/ajtmh.13-0622. Epub 2014 Mar 10. PMID: 24615128 Free PMC Article Similar articles Select item 2049468 33. Heterozygous pyruvate kinase deficiency and severe hemolytic anemia in a pregnant woman with concomitant, glucose-6-phosphate dehydrogenase deficiency. Vives Corrons JL, García AM, Sosa AM, Pujades A, Colomer D, Linares M.
PMID: 2049468 Similar articles Select item 11593537 34. A diagnostic kit to screen individuals with glucose-6-phosphate dehydrogenase defect and its application o­n anti-malaria spot in the countryside. Chin Med J (Engl). 1999 Apr;112(4):349-51. PMID: 11593537 Similar articles Select item 3787415 35. 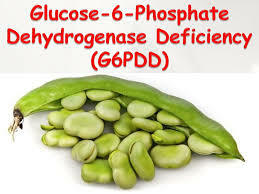 [Cytochemical study of erythrocyte glucose-6-phosphate dehydrogenase (G6PD) and its usefulness in the detection of a heterozygotic deficiency of G6PD]. Vives Corrons JL, Merino A, Pujades MA. Sangre (Barc). 1986;31(4):467-75. Spanish. No abstract available. PMID: 3787415 Similar articles Select item 6474092 36. 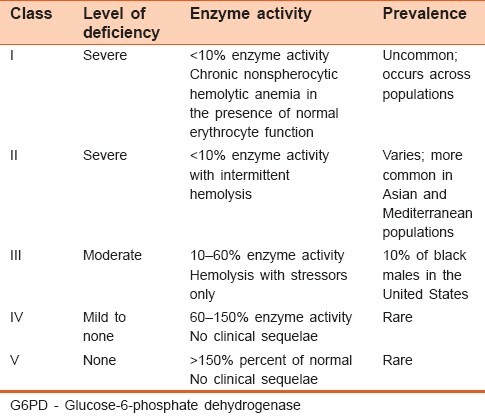 Mediterranean glucose 6-phosphate dehydrogenase (G6PD) deficiency--near normal decay of the mutant enzyme protein in circulating erythrocytes. Morelli A, Benatti U, Guida L, De Flora A.
Scand J Haematol. 1984 Aug;33(2):144-54. PMID: 6474092 Similar articles Select item 12971572 37. Semiquantitative screening test for G6PD deficiency detects severe deficiency but misses a substantial proportion of partially-deficient females. Ainoon O, Alawiyah A, Yu YH, Cheong SK, Hamidah NH, Boo NY, Zaleha M.
Southeast Asian J Trop Med Public Health. 2003 Jun;34(2):405-14. PMID: 12971572 Similar articles Select item 10830899 38. Transient inhibition of glucose utilization by erythrocytes during the acute stage of typhoid fever. PMID: 10830899 Similar articles Select item 15117307 39. 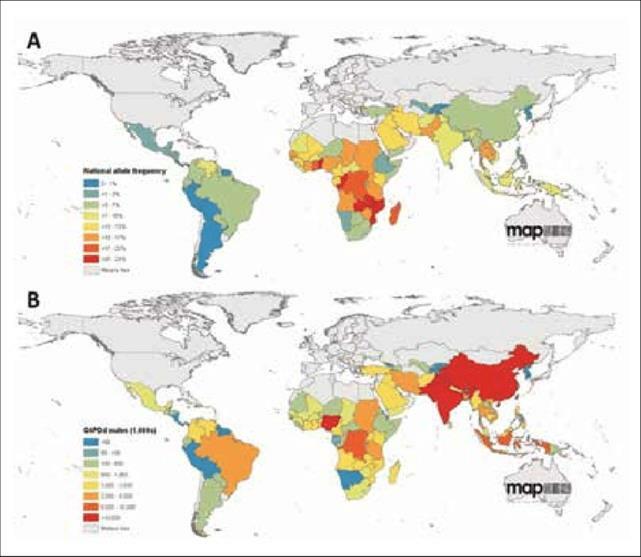 Rapid epidemiologic assessment of glucose-6-phosphate dehydrogenase deficiency in malaria-endemic areas in Southeast Asia using a novel diagnostic kit. Jalloh A, Tantular IS, Pusarawati S, Kawilarang AP, Kerong H, Lin K, Ferreira MU, Matsuoka H, Arai M, Kita K, Kawamoto F.
Trop Med Int Health. 2004 May;9(5):615-23. PMID: 15117307 Free Article Similar articles Select item 6431656 40. Depression of erythrocyte glucose-6-phosphate dehydrogenase (G6PD) activity in enteric fever. Crowell SB, Crowell EB Jr, Mathew M.
Trans R Soc Trop Med Hyg. 1984;78(2):183-6. G6PD Deficiency and Hemoglobinopathies: Molecular Epidemiological Characteristics and Healthy Effects o­n Malaria Endemic Bioko Island, Equatorial Guinea. Lin M, Yang LY, Xie DD, Chen JT, Nguba SM, Ehapo CS, Zhan XF, Eyi JU, Matesa RA, Obono MM, Yang H, Yang HT, Cheng JD. PLoS o­ne. 2015 Apr 27;10(4):e0123991. doi: 10.1371/journal.pone.0123991. eCollection 2015. PMID: 25915902 Free PMC Article Similar articles Select item 15202492 42. 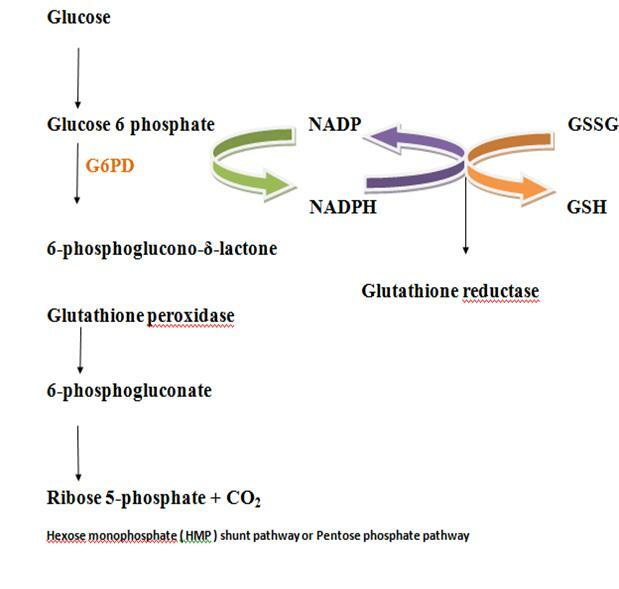 Investigation of glucose 6-phosphate dehydrogenase (G6PD) kinetics for normal and G6PD-deficient persons and the effects of some drugs. Ozmen I, Ciftçi M, Küfrevioğlu OI, Curük MA. J Enzyme Inhib Med Chem. 2004 Feb;19(1):45-50. PMID: 15202492 Similar articles Select item 17978087 43. Beutler E, Duparc S; G6PD Deficiency Working Group. Am J Trop Med Hyg. 2007 Oct;77(4):779-89. Review. PMID: 17978087 Similar articles Select item 21092137 44. Plasmodium falciparum clearance with artemisinin-based combination therapy (ACT) in patients with glucose-6-phosphate dehydrogenase deficiency in Mali. Kone AK, Sagara I, Thera MA, Dicko A, Guindo A, Diakite S, Kurantsin-Mills J, Djimde A, Walcourt A, Doumbo O.
Malar J. 2010 Nov 21;9:332. doi: 10.1186/1475-2875-9-332. PMID: 21092137 Free PMC Article Similar articles Select item 20684792 45. Population screening for glucose-6-phosphate dehydrogenase deficiencies in Isabel Province, Solomon Islands, using a modified enzyme assay o­n filter paper dried bloodspots. Kuwahata M, Wijesinghe R, Ho MF, Pelecanos A, Bobogare A, Landry L, Bugora H, Vallely A, McCarthy J.
Malar J. 2010 Aug 5;9:223. doi: 10.1186/1475-2875-9-223. PMID: 20684792 Free PMC Article Similar articles Select item 3438059 46. Superoxide dismutase activity and reduced glutathione content in cataractous lens of patients with glucose-6-phosphate dehydrogenase deficiency. Vanella A, Gorgone G, Cavallaro N, Castorina C, Campisi A, Di Giacomo C, Bousquet E, Li Volti S, Mollica F.
Ophthalmic Paediatr Genet. 1987 Nov;8(3):191-5. PMID: 3438059 Similar articles Select item 17611006 47. 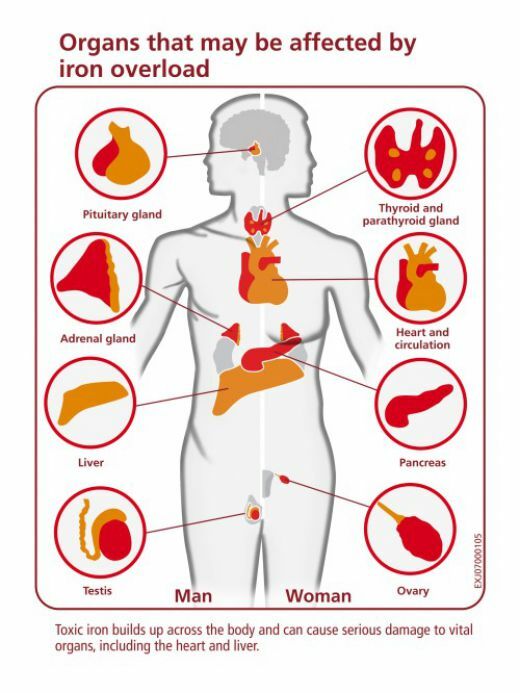 G6PD deficiency: the genotype-phenotype association. Mason PJ, Bautista JM, Gilsanz F.
Blood Rev. 2007 Sep;21(5):267-83. Epub 2007 Jul 3. Review. Erratum in: Blood Rev. 2010 Jan;24(1):49. PMID: 17611006 Similar articles Select item 18177777 48. Lancet. 2008 Jan 5;371(9606):64-74. doi: 10.1016/S0140-6736(08)60073-2. Review. PMID: 18177777 Similar articles Select item 7667719 49. The use of primaquine in malaria infected patients with red cell glucose-6-phosphate dehydrogenase (G6PD) deficiency in Myanmar. Southeast Asian J Trop Med Public Health. 1994 Dec;25(4):710-3. PMID: 7667719 Similar articles Select item 15506519 50. [Glucose 6-phosphate dehydrogenase deficiency: a protection against malaria and a risk for hemolytic accidents]. C R Biol. 2004 Aug;327(8):711-20. Review. French. PMID: 15506519 Similar articles Select item 17365988 51. 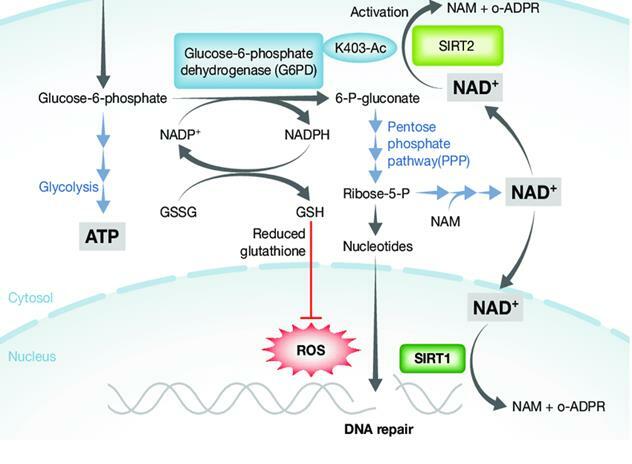 Inherited, non-spherocytic haemolysis due to deficiency of glucose-6-phosphate dehydrogenase. Scand J Clin Lab Invest. 2007;67(1):105-11. Review. PMID: 17365988 Similar articles Select item 27458052 52. Severe glucose-6-phosphate dehydrogenase deficiency leads to susceptibility to infection and absent NETosis. Siler U, Romao S, Tejera E, Pastukhov O, Kuzmenko E, Valencia RG, Meda Spaccamela V, Belohradsky BH, Speer O, Schmugge M, Kohne E, Hoenig M, Freihorst J, Schulz AS, Reichenbach J.
J Allergy Clin Immunol. 2017 Jan;139(1):212-219.e3. doi: 10.1016/j.jaci.2016.04.041. Epub 2016 Jul 22. PMID: 27458052 Similar articles Select item 25312015 53. Baird JK, Dewi M, Subekti D, Elyazar I, Satyagraha AW. Transl Res. 2015 Jun;165(6):677-88. doi: 10.1016/j.trsl.2014.09.009. Epub 2014 Sep 28. PMID: 25312015 Free PMC Article Similar articles Select item 26249834 54. PMID: 26249834 Free PMC Article Similar articles Select item 24289973 55. Should blood donors be routinely screened for glucose-6-phosphate dehydrogenase deficiency? A systematic review of clinical studies focusing o­n patients transfused with glucose-6-phosphate dehydrogenase-deficient red cells. Renzaho AM, Husser E, Polonsky M.
Transfus Med Rev. 2014 Jan;28(1):7-17. doi: 10.1016/j.tmrv.2013.10.003. Epub 2013 Oct 30. Review. PMID: 24289973 Similar articles Select item 2307454 56. A new glucose-6-phosphate dehydrogenase variant with congenital nonspherocytic hemolytic anemia (G6PD Genova). Biochemical characterization and mosaicism expression in the heterozygote. Gaetani GF, Galiano S, Melani C, Miglino M, Forni GL, Napoli G, Perrone L, Ferraris AM. PMID: 2307454 Similar articles Select item 7301464 57. Glucose-6-phosphate dehydrogenase red blood cell phenotype in GdMediterranean heterozygous females and hemizygous males at birth. Sanna G, Frau F, De Virgiliis S, Piu P, Bertolino F, Cao A.
PMID: 7301464 Similar articles Select item 10357861 58. Field trials of a rapid test for G6PD deficiency in combination with a rapid diagnosis of malaria. Tantular IS, Iwai K, Lin K, Basuki S, Horie T, Htay HH, Matsuoka H, Marwoto H, Wongsrichanalai C, Dachlan YP, Kojima S, Ishii A, Kawamoto F.
Trop Med Int Health. 1999 Apr;4(4):245-50. PMID: 10357861 Free Article Similar articles Select item 26337344 59. 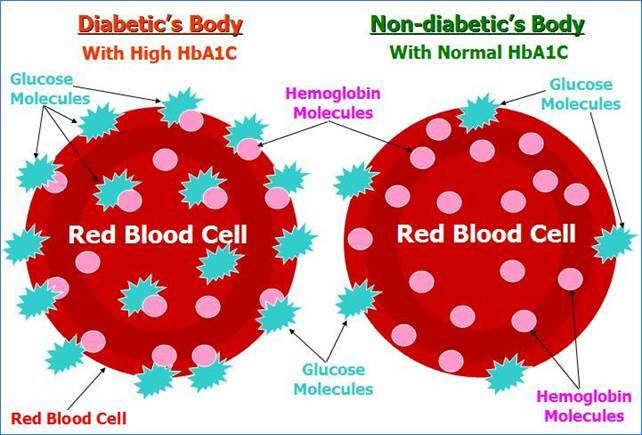 Hyperglycaemia per se does not affect erythrocyte glucose-6-phosphate dehydrogenase activity in ketosis-prone diabetes. Choukem SP, Sobngwi E, Garnier JP, Letellier S, Mauvais-Jarvis F, Calvo F, Gautier JF. Diabetes Metab. 2015 Sep;41(4):326-30. doi: 10.1016/j.diabet.2014.07.002. Epub 2015 Sep 1. PMID: 26337344 Similar articles Select item 27109515 60. Prevalence and hematological indicators of G6PD deficiency in malaria-infected patients. Kotepui M, Uthaisar K, PhunPhuech B, Phiwklam N.
Infect Dis Poverty. 2016 Apr 25;5:36. doi: 10.1186/s40249-016-0130-0. First evaluation of glucose-6-phosphate dehydrogenase (G6PD) deficiency in vivax malaria endemic regions in the Republic of Korea. Goo YK, Ji SY, Shin HI, Moon JH, Cho SH, Lee WJ, Kim JY. PLoS o­ne. 2014 May 22;9(5):e97390. doi: 10.1371/journal.pone.0097390. eCollection 2014. PMID: 24853873 Free PMC Article Similar articles Select item 4004763 62. 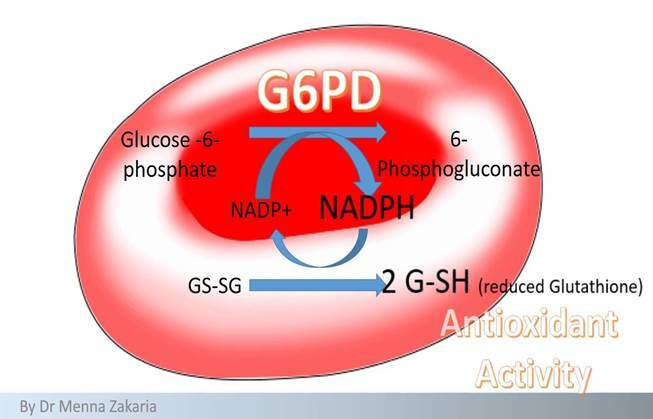 Entrapment of normal and mutant glucose 6-phosphate dehydrogenase (G6PD) within G6PD deficient erythrocytes. De Flora A, Morelli A, Benatti U.
PMID: 4004763 Similar articles Select item 9694435 63. Glucose-6-phosphate dehydrogenase deficiency and malaria. J Mol Med (Berl). 1998 Jul;76(8):581-8. Review. PMID: 9694435 Similar articles Select item 22164279 64. Performance of the CareStart™ G6PD deficiency screening test, a point-of-care diagnostic for primaquine therapy screening. Kim S, Nguon C, Guillard B, Duong S, Chy S, Sum S, Nhem S, Bouchier C, Tichit M, Christophel E, Taylor WR, Baird JK, Menard D.
PLoS o­ne. 2011;6(12):e28357. doi: 10.1371/journal.pone.0028357. Epub 2011 Dec 2. PMID: 22164279 Free PMC Article Similar articles Select item 27040960 65. Hematol o­ncol Clin North Am. 2016 Apr;30(2):373-93. doi: 10.1016/j.hoc.2015.11.006. Review. PMID: 27040960 Similar articles Select item 3511989 66. Pathways for the reduction of oxidized glutathione in the Plasmodium falciparum-infected erythrocyte: can parasite enzymes replace host red cell glucose-6-phosphate dehydrogenase? Roth EF Jr, Schulman S, Vanderberg J, Olson J.
PMID: 3511989 Free Article Similar articles Select item 22546009 67. Glucose-6-phosphate dehydrogenase deficiency, chlorproguanil-dapsone with artesunate and post-treatment haemolysis in African children treated for uncomplicated malaria. Van Malderen C, Van Geertruyden JP, Machevo S, González R, Bassat Q, Talisuna A, Yeka A, Nabasumba C, Piola P, Daniel A, Turyakira E, Forret P, Van Overmeir C, van Loen H, Robert A, D' Alessandro U.
Malar J. 2012 Jul 10;11:139. doi: 10.1186/1475-2875-11-139. PMID: 22546009 Free PMC Article Similar articles Select item 3576282 68. Malaria and glucose-6-phosphate dehydrogenase deficiency in North Sumatra, Indonesia. Matsuoka H, Ishii A, Panjaitan W, Sudiranto R.
Southeast Asian J Trop Med Public Health. 1986 Dec;17(4):530-6. PMID: 3576282 Similar articles Select item 2386512 69. Prognosis of hemolytic anemia in G6PD- subjects. Multifactorial cluster analysis of biochemical characteristics of red cell age groups. Yermakov NV, Jacobasch G, Krekhnov BV, Ermakova TA. PMID: 2386512 Similar articles Select item 15369716 70. G6PD/PK ratio: a reliable parameter to identify glucose-6-phosphate dehydrogenase deficiency associated with microcytic anemia in heterozygous subjects. Tagarelli A, Piro A, Tagarelli G, Bastone L, Paleari R, Mosca A.
PMID: 15369716 Similar articles Select item 19769422 71. 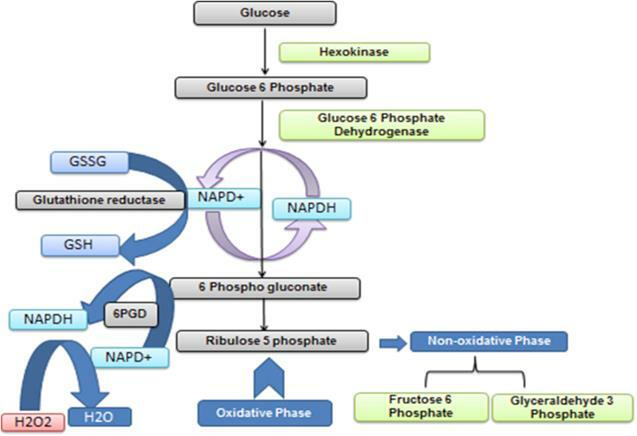 Perioperative management of the glucose-6-phosphate dehydrogenase deficient patient: a review of literature. Anesth Prog. 2009 Autumn;56(3):86-91. doi: 10.2344/0003-3006-56.3.86. Review. PMID: 19769422 Free PMC Article Similar articles Select item 28152025 72. Gunawardena S, Kapilananda GM, Samarakoon D, Maddevithana S, Wijesundera S, Goonaratne LV, Karunaweera ND. PLoS o­ne. 2017 Feb 2;12(2):e0171208. doi: 10.1371/journal.pone.0171208. eCollection 2017. PMID: 28152025 Free PMC Article Similar articles Select item 24717200 73. Features and outcomes of malaria infection in glucose-6-phosphatedehydrogenase normal and deficient Nigerian children. J Vector Borne Dis. 2014 Mar;51(1):33-9. PMID: 24717200 Free Article Similar articles Select item 12581435 74. Reduced prevalence of Plasmodium falciparum infection and of concomitant anaemia in pregnant women with heterozygous G6PD deficiency. Mockenhaupt FP, Mandelkow J, Till H, Ehrhardt S, Eggelte TA, Bienzle U.
Trop Med Int Health. 2003 Feb;8(2):118-24. PMID: 12581435 Free Article Similar articles Select item 20118060 75. Predictors of severe hemolysis in patients with glucose-6-phosphate dehydrogenase deficiency following exposure to oxidant stresses. Al-Sweedan SA, Jdaitawi H, Khriesat WM, Khader YY, Al-Rimawi HS. Hematol o­ncol Stem Cell Ther. 2009;2(2):354-7. PMID: 20118060 Free Article Similar articles Select item 21839656 76. Development of a novel mouse model of severe glucose-6-phosphate dehydrogenase (G6PD)-deficiency for in vitro and in vivo assessment of hemolytic toxicity to red blood cells. Ko CH, Li K, Li CL, Ng PC, Fung KP, James AE, Wong RP, Gu GJ, Fok TF. Blood Cells Mol Dis. 2011 Oct 15;47(3):176-81. doi: 10.1016/j.bcmd.2011.07.003. Epub 2011 Aug 11. PMID: 21839656 Similar articles Select item 18942156 77. 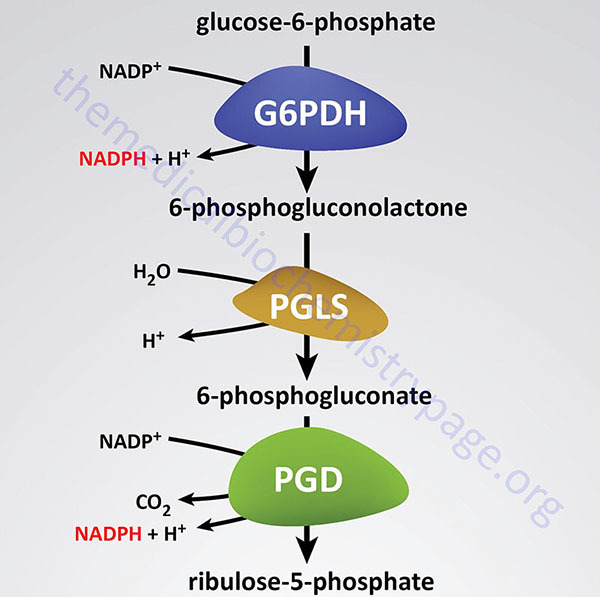 Glucose-6-phosphate dehydrogenase laboratory assay: How, when, and why? Minucci A, Giardina B, Zuppi C, Capoluongo E.
IUBMB Life. 2009 Jan;61(1):27-34. doi: 10.1002/iub.137. Review. PMID: 18942156 Free Article Similar articles Select item 26416229 78. Ley B, Luter N, Espino FE, Devine A, Kalnoky M, Lubell Y, Thriemer K, Baird JK, Poirot E, Conan N, Kheong CC, Dysoley L, Khan WA, Dion-Berboso AG, Bancone G, Hwang J, Kumar R, Price RN, von Seidlein L, Domingo GJ. PMID: 26416229 Free PMC Article Similar articles Select item 24943486 79. Prevalence of glucose-6-phosphate dehydrogenase deficiency and its association with Plasmodium falciparum infection among children in Iganga distric in Uganda. Bwayo D, Kaddumukasa M, Ddungu H, Kironde F.
BMC Res Notes. 2014 Jun 18;7:372. doi: 10.1186/1756-0500-7-372. PMID: 24943486 Free PMC Article Similar articles Select item 15906718 80. Glucose-6-phosphate dehydrogenase (G6PD) deficiency in Yogyakarta and its surrounding areas. Southeast Asian J Trop Med Public Health. 2003;34 Suppl 3:138-9. Evaluation of the diagnostic accuracy of CareStart G6PD deficiency Rapid Diagnostic Test (RDT) in a malaria endemic area in Ghana, Africa. Adu-Gyasi D, Asante KP, Newton S, Dosoo D, Amoako S, Adjei G, Amoako N, Ankrah L, Tchum SK, Mahama E, Agyemang V, Kayan K, Owusu-Agyei S.
PLoS o­ne. 2015 Apr 17;10(4):e0125796. doi: 10.1371/journal.pone.0125796. eCollection 2015. PMID: 25885097 Free PMC Article Similar articles Select item 3725767 82. 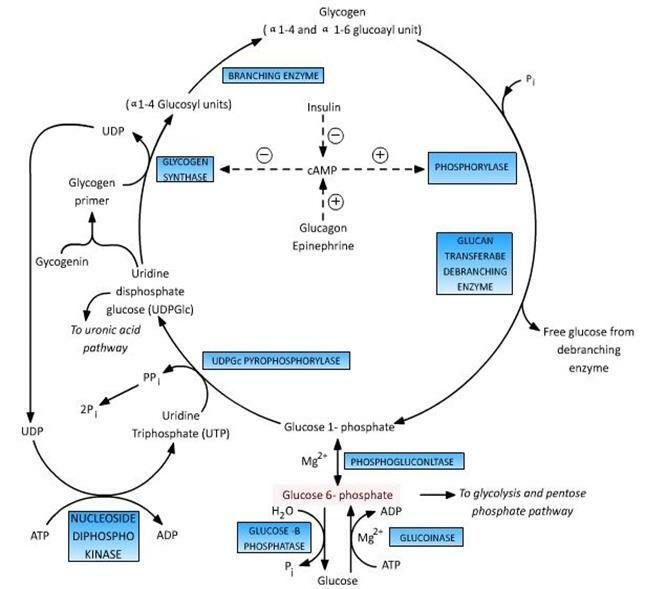 Glucose-6-phosphate dehydrogenase and other genetic factors interacting with drugs. Prog Clin Biol Res. 1986;214:385-99. No abstract available. PMID: 3725767 Similar articles Select item 25541721 83. Roca-Feltrer A, Khim N, Kim S, Chy S, Canier L, Kerleguer A, Tor P, Chuor CM, Kheng S, Siv S, Kachur PS, Taylor WR, Hwang J, Menard D.
PLoS o­ne. 2014 Dec 26;9(12):e116143. doi: 10.1371/journal.pone.0116143. eCollection 2014. PMID: 25541721 Free PMC Article Similar articles Select item 16603161 84. Do tribal communities show an inverse relationship between sickle cell disorders and glucose-6-phosphate dehydrogenase deficiency in malaria endemic areas of Central-Eastern India? Homo. 2006;57(2):163-76. Epub 2006 Apr 5. PMID: 16603161 Similar articles Select item 2633878 85. Glucose-6-phosphate dehydrogenase deficiency. WHO Working Group. Bull World Health Organ. 1989;67(6):601-11.